In the dark corners of Houston's urban night world, Detective Lucas Stonecoat and police psychiatrist Meredyth Sanger have come across another prostitute mutilated by the Scalper--a killer who has turned a primitive act of barbarism into a grisly, modern-day ritual. 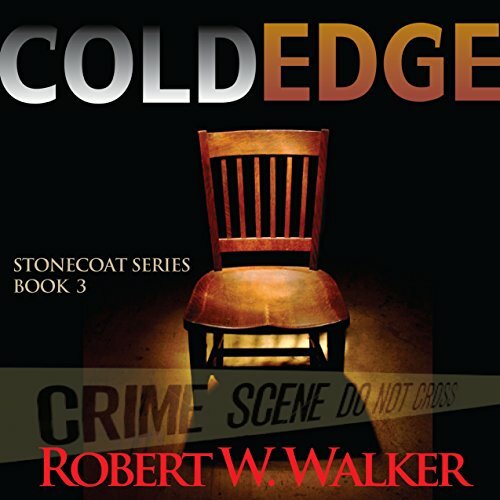 This book is third in Robert W. Walker's Edge series. It was originally published in paperback. It's cheesy and the dialogue is stiff and unrealistic. If the author has ever even flown over Houston, I'll kiss his Stetson. Basements? Really? Admittedly, there are some, but they are VERY few and VERY far between. And since when has the wind in Houston in June been crisp?